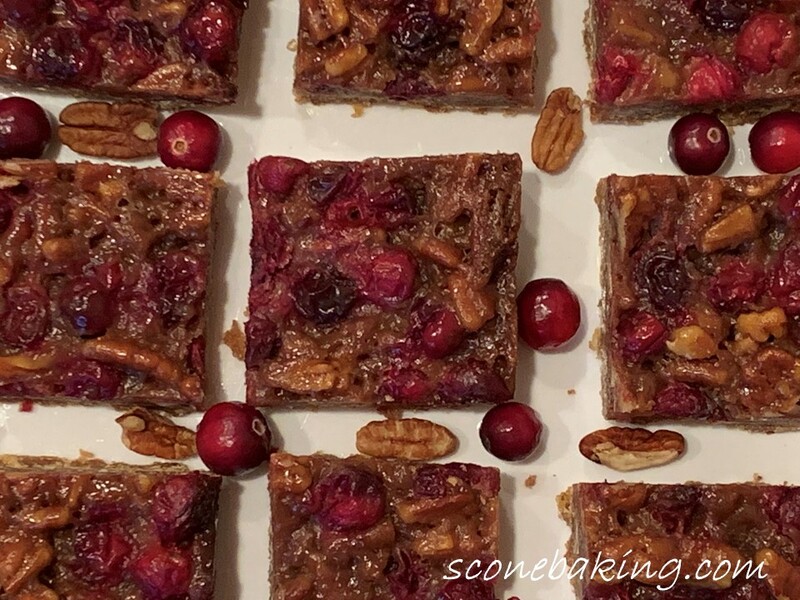 For Thanksgiving I made my Cranberry-Pecan Bars, and they were a big hit. 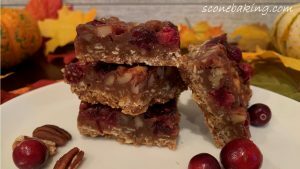 The sweet caramel sauce goes perfectly with the tartness of the cranberries. And then I added toasted pecans for crunch in the filling and in the crust. 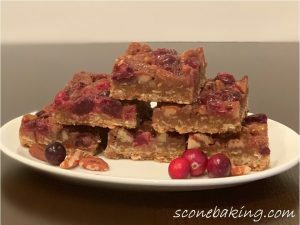 Cranberry-Pecan Bars are so easy to make. Your family and friends are going to love them during the holiday season, or any time of the year. 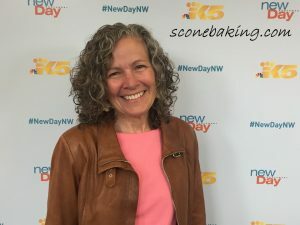 Preheat oven 350º F. Make a parchment paper sling for 13 by 9-inch baking pan by folding 2 long sheets of parchment paper; first sheet should be 13 inches wide and second sheet should be 9 inches wide. Spray bottom, corners, and sides of pan with cooking spray, lay wide (13-inch) sheet of parchment paper in prepared pan, push paper up sides of pan with extra hanging over edges of pan. Spray parchment paper in the pan with cooking spray, lay narrow (9-inch) sheet of parchment paper perpendicular to wide sheet, push paper up sides of pan with extra hanging over edges of pan. Grate 3/4 cup cold butter, place in refrigerator. Meanwhile process 1/2 toasted pecans in food processor, until texture of coarse cornmeal, about 15 seconds; add flour, oatmeal and 1/4 tsp. salt, pulse 10 times. In a large mixing bowl whisk together pecan-flour mixture and brown sugar. Using your hands, mix in the 3/4 cup grated butter, until you get fine crumbs. Press mixture evenly in prepared pan. Bake at 350º F. for 15 minutes. While crust is baking, in a heavy-bottomed saucepan, combine the sugar and water over medium-low heat until the sugar dissolves. Increase the heat to medium-high; bring to a boil, without stirring. Boil until the syrup is a deep amber color, about 5 to 6 minutes. Remove from the heat; carefully pour in the heavy cream (this mixture will bubble), then whisk to combine (mixture will seize if you put the whisk in before the cream, if this happens add 1 Tbsp light corn syrup and stir like crazy until smooth). Whisk in 3 Tbsp. room temperature butter, vanilla, and 1/4 tsp. 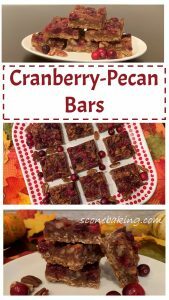 salt until combined; stir in cranberries and 1 cup toasted pecans, stirring gently until coated with caramel. Pour evenly over hot crust. Bake at 350º F. for 30-40 minutes, or until filling is bubbling and nearly set (it should jiggle slightly when shaken). Let cool completely on wire rack. 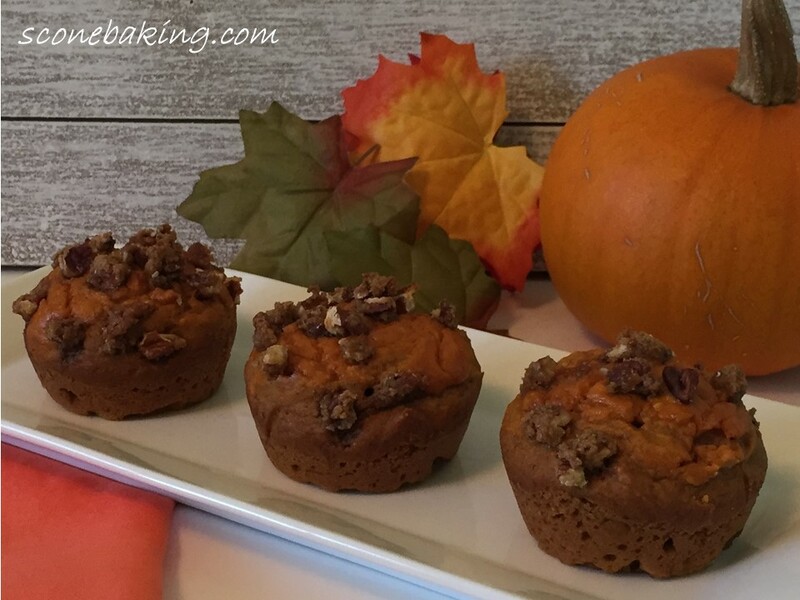 Refrigerate 4 hours, or overnight before cutting to set filling. Remove from pan using parchment sling, cut into 24 squares. 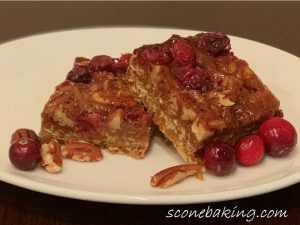 Here is a link to my YouTube channel: Scone Baking and Beyond demonstrating how to make these delicious Cranberry Pecan Bars.